With today’s PAD project I’m finally caught up. While we were on the road I took photos each day, but did not have a chance to post so I’ve been playing catch up the couple of days. Today walking out of work I looked up and saw this photo. It says a lot about the place(s) we call home. 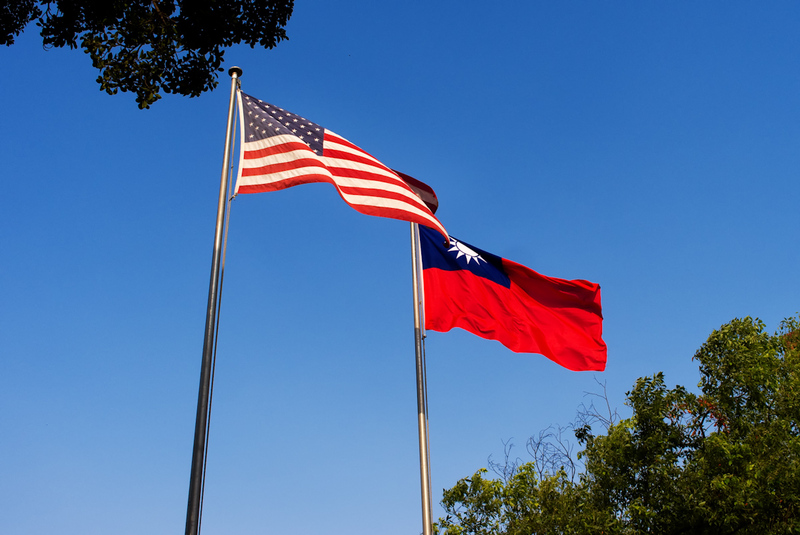 While technically we are residents of Taiwan and have a home here, we will always call the United States home too. So, in a way we are at home in both places.